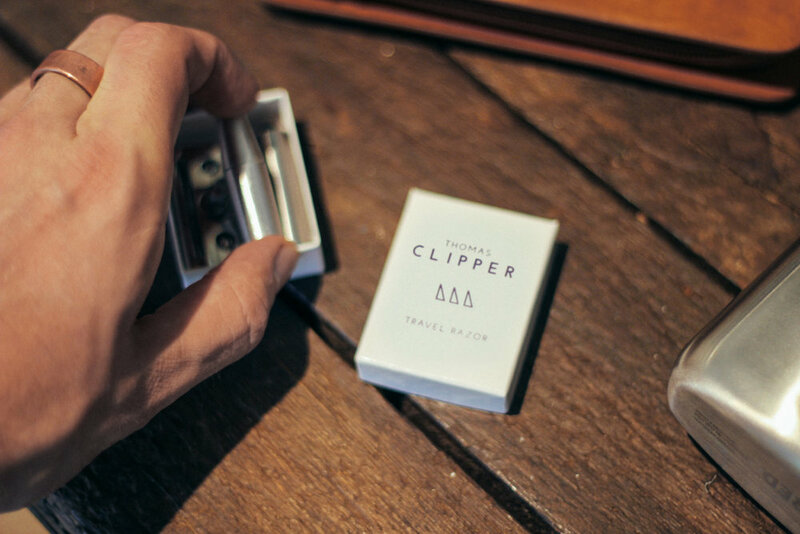 The Thomas Clipper Travel Razor (which collapses to fit into a matchbox) has received coverage from several UK publications (not least our friends at British GQ). But as far as we know last week was the first time we’ve received praise from as far afield as Germany. Of course, our friends in Germany famously love a well engineered product, so it should be no surprise that the 1.5 million readers of the “Süddeutsche Zeitung Magazin” (a supplement in Germany’s biggest daily newspaper) were treated to our London-made Travel razor. In the short feature they say that the razor ‘runs smoothly’ (if Google Translate is to be believed). Which is 100% accurate. Indeed like any single blade razor, it’s able to give a smoother and more sensitive shave than any multi-blade cartridge model. We think they’ve likely featured it because it’s the perfect Christmas present for a well-travelled man who likes to spend time on the perfect shave. But whatever the reason, danke schön!